Workchoices never again – but who does stand for Fair Work? The VTHC has passed a motion to support both Greens and ALP candidates in the seat of Melbourne. The motion followed a previous motion by the Council Executive to support ALP in marginal seats. 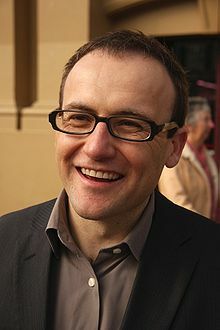 However the seat of Melbourne Greens candidate Adam Bandt is supported by several affiliate unions in preference to ALP candidate Cath Bowtell. Both candidates spoke to the chamber at the Council meeting last Thursday as exponents of workers rights. Both candidates have a history of union employment and advocacy. They do however stand opposed to each other on Fairwork Australia. 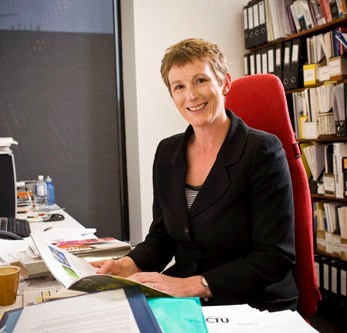 Ms Bowtell was employed at the ACTU for 15 years and was the lead ACTU negotiator in the development of the Fair Work Act introduced by Julia Gillard. She replaces Lindsay Tanner and was the clear frontrunner to replace Mr Tanner in the marginal seat, with the support of key state and federal ministers. Mr Bandt is an industrial and public interest lawyer. He was previously a partner at Slater and Gordon and has more recently worked on legals for both the UFU and the ETU where he has been an architect of the successful CEPU representation to the ILO on the contravention of ILO conventions on workers’ rights by Fairwork Australia. The VTHC unequivocally supports changes in Fairwork Australia and it is largely acknowledged that the Gillard Fair Work Act 2009 saw only the partial return of rights lost under Howard’s Work Choices legislation; with the retention of the ABCC, the continued outlawing of “pattern bargaining”, and considerable restrictions on union right of entry in the workplace.. Most unions have spent the last year or so adapting to the Fair Work Act, the so called Award Modernisation process and OHS ‘harmonisation’. All very time consuming and often frustrating. New Federal IR Minister Simon Crean told a recent ACTU Executive (20/7/2010) that he believed the Federal Government had ‘got the balance right’ on IR and that the Fair Work Act was not up for more changes. Victorian unions are united for change to the Fairwork legislation. Both Melbourne candidates cite support for the union position on workers rights. Just to make it clear, the Greens support the full abolition of Workchoices, and restoration of worker and union rights, and the ALP does not. Ain’t it true but where are the unions who publicly support the Greens? Nothing published. A shame. I am disappointed the VTHC is supporting the ALP. Cath Bowtell can be partly blamed for the appalling IR system we still have and I would bet that, if elected, she will simply toe the party line and betray the very people who entrusted her with their votes. Why the hell vote for her when she is not prepared to rail against the right wing party brokers? I very much doubt she would cross the floor on IR. The best outcome for the election is that Adam Bandt holds the balance of power in the House of Reps and forces the Labor Party to at last do the right thing – that is, restore the rights of workers and unions and abolish the ABCC. It would also send a very powerful message to the right wing idiots of the party that we will simply not stand for their nonsense and the way in which business is dictating to them.